Visiting Las Vegas? 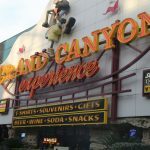 Our Top Three Non Casino Attractions! 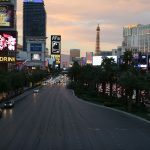 Las Vegas has long been known for its gambling, super casinos and nightlife – the vibe of this fun city revolves around these and attracts people from around the world seeking it’s entertainment offerings. All these of course warrant it’s reputation as one of the world’s great entertainment capitals but if one digs a bit deeper one finds a number of equally intriguing attractions. Visitor’s are often pleasantly surprised at the reasonable cost of accommodation in Las Vegas – to a great extent the casinos are the reason for the lower prices then one finds in other cities of this size. But how about getting to Vegas? Often domestic airlines have affordable rates within the country to Vegas but one can also get inspired by these deals. And note that when you do land at McCarran International Airport – you will be most likely greeted by slot machines as soon as you enter the terminal! Located only about 45 minutes driving from ‘the strip’ – this is a must visit, especially for those seeing Las Vegas for the first time. One of America’s national treasures, it took the better part of 5 years to complete construction during the 1930s. 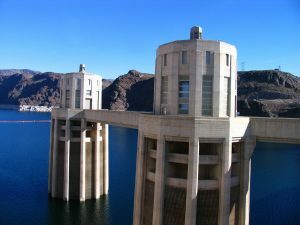 The Dam holds back the waters of Lake Mead (the largest reservoir in the country when it is filled – which is not always the case in this desert climate). Visitors should take full advantage of a tour – we recommend both the Dam tour and the PowerPlant tour. 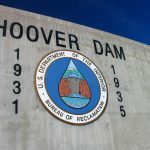 Somewhat confusing, visitors need to note that Dam tour tickets cannot be purchased online but rather only purchased in person the day of your visit – while one can purchase PowerPlant tour tickets up to 90 days in advance online. Still amazing some 80+ years later, a couple of highlights from the last time we took the tour was the time it takes in the elevator to drop over 500 feet in a matter of minutes and seeing the giant generators up close at the bottom of the dam (each one of this gut busters puts out enough wattage to power approximately 100,000 homes). Be sure to walk across the top of Hoover Dam for excellent views and photographs. If you complete this entire walk you will have crossed between two states (Nevada and Arizona). 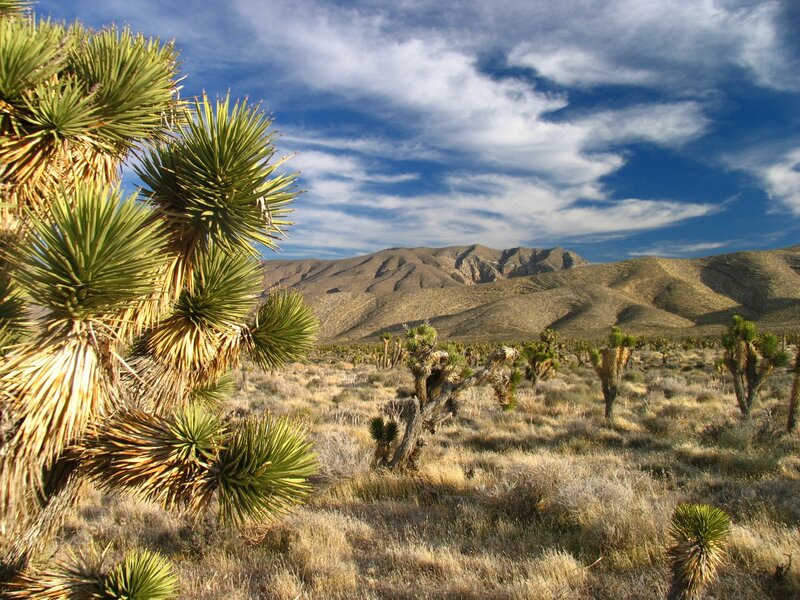 In the opposite direction of Hoover Dam, also located about 45 minutes from Las Vegas is the beautiful Mt. Charleston. Mt. Charleston is the perfect destination when you are ready to take a break from the action along the Vegas Strip. Located just far enough outside of town and a bit under the radar for most tourists, one can easily escape the crowds in town for a day or half day trip. This is the tallest mountain near the city – at over 11,900 feet. 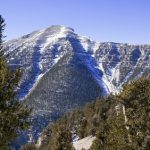 Tall enough that it usually has plenty of snow in the winter (check out Lee Canyon for both skiing and snow boarding experiences) and in the summer often provides cooler temperatures compared to the relentless desert heat of the surrounding lower environs. 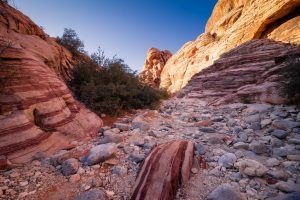 Even a shorter drive then the other two attractions, Red Rock Canyon is only about 30 minutes from the city (although in recent years residential developments have brought the edges of the city much closer to this park). Rising out of the hills west of the city, this National Conservation Area features a number of red rock formations that rise starkly contrast to the much more muted colors of the surrounding desert landscape. A highlight of a visit here is the 13-mile drive which winds its way among the rocks passing by a number of intriguing spots including hand prints on rock walls from Native Americans (dating to over 800 years ago), access to a number of picturesque canyons, scenic overlooks and hiking trails including one of our favorites, the trail that leads to Willow Springs from the White Rock Spring upper parking lot. 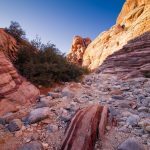 So when you visit Las Vegas – be sure to also explore the above attractions and when you return home, let friends and family know that Las Vegas is not all about gambling and nightlife!